In mid-January, Lucasfilm unexpectedly took the highly unusual step of issuing a press release to refute rumors about Episode IX. 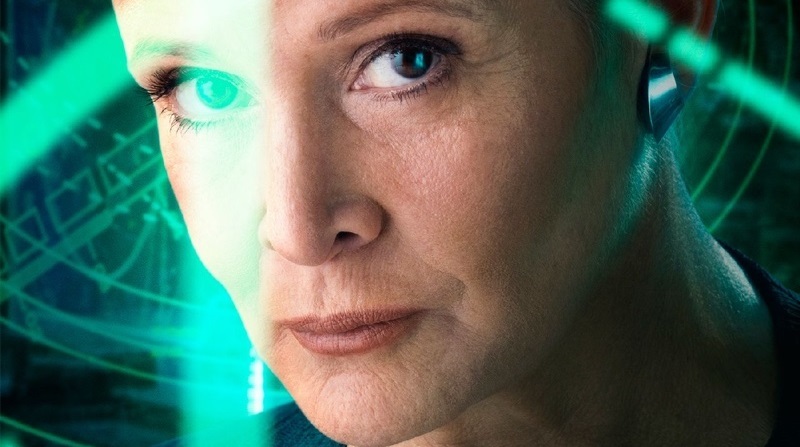 The reports, which had begun circulating in mainstream entertainment media at that time, claimed the existence of negotiations with Carrie Fisher’s estate regarding the use of computer-generated special effects to digitally recreate her face for that film. In rebutting these accounts, Lucasfilm implicitly affirmed the options: writing the script without Leia, or recasting the role. In January’s post Leia At Risk: Grief, Nostalgia, and Mythic Storytelling, we explained our view about why it is important that Carrie Fisher’s unfortunate and untimely death should not cause Lucasfilm to change their previously planned significant role for General Leia Organa in 2019’s Episode IX of the Star Wars saga. While the grief of her friends and family is understandable, and we share it, the story must come first. We are delighted that Lucasfilm has concluded, as we do, that Carrie Fisher deserves respect, not mimicry. No person can duplicate Carrie, and neither can any computer, no matter how sophisticated. Recasting General Organa enables the character fulfill her destiny in Episode IX of the Skywalker saga and empowers a new actress to bring her own spirit, personality, and face to the portrayal of one of Star Wars’ most iconic heroes. Initially, it is important to remember that Leia Organa already has been performed by a number of highly talented actresses other than Carrie Fisher. The first instances occurred before the Original Trilogy films were even completed, when Ann Sachs portrayed Leia in the NPR radio dramas of Star Wars and The Empire Strikes Back in the springs of 1981 and 1983, respectively. (The radio dramas also included cast substitutions such as Perry King as Han Solo, Brock Peters as Darth Vader, and John Lithgow as Yoda.) Lisa Fuson played Leia in Shadows of the Empire, then Rebellion and Battlegrounds; Cat Taber voiced Leia in The Force Unleashed and The Force Unleashed II, as well as the yet-to-be-released Star Wars Detours animated television series. 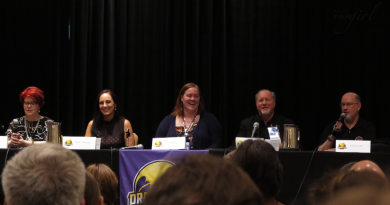 Heather Doerksen also offered a more comedic take on Leia for the LEGO The Yoda Chronicles and Droid Tales television series, while Anna Graves voiced Original Trilogy era Leia for Disney Infinity. Most recently, Julie Dolan has performed Leia on the Star Wars Rebels animated television series, as well as LEGO’s The Freemaker Adventures, the Uprising mobile game, and Episode VII Leia for Disney Infinity. For Episode IX, of course, an actress would perform Leia on screen, not only the voice. Given her pointed remarks about Hollywood during the press tour for The Force Awakens, though, Carrie Fisher no doubt would be delighted to see a fellow older actress getting work. 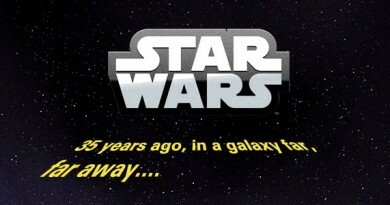 In addition, Star Wars fans already have accepted the recasting of major characters over the course of the franchise’s forty years to date. Sometimes, in fact, the new performer comes to embody the character as fully as the original one. Numerous Star Wars fans count Ewan McGregor as their favorite Obi-Wan Kenobi, for example, especially among the younger generations. 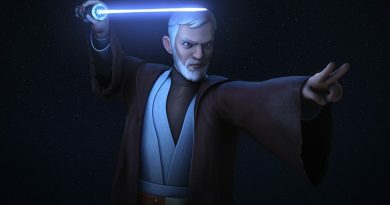 Similarly, voice actors from The Clone Wars – including Matt Lanter as Anakin, Cat Taber as Padmé, James Arnold Taylor as Obi-Wan, and Sam Witwer as Darth Maul – have become huge fan-favorites for their portrayals, as well. Perhaps the most direct comparison to Episode IX, though, was the passing of Ian Abercrombie toward the end of The Clone Wars’ television run, and the casting of Tim Curry to conclude the role of Palpatine in the animated series. Most recently, Witwer provided the voice of the Emperor for his brief dialogue on Star Wars Rebels. While each man brought a slightly different take to the character, all of them succeeded in the role. Moreover, Lucasfilm’s own vision for the future of the Star Wars franchise is contingent on fans accepting the recasting of familiar characters. The first standalone, Rogue One, recast Episode VI’s Mon Mothma and Episode IV’s General Dodonna with new actors as the Rebellion’s principal leaders alongside Jimmy Smits’ cameo as Bail Organa. One year before Episode IX’s release, the still-untitled second standalone movie relies almost entirely for its success on the audience buying into Alden Ehrenreich as Han Solo and Donald Glover as Lando Calrissian. 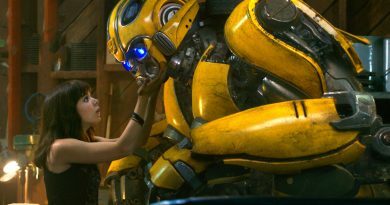 If their performances fail to connect with fans, so too will the film. Future movies beyond Episode IX very likely also will require similar recasting of prominent characters. Persistent rumors suggest that Disney and Lucasfilm will continue the Indiana Jones franchise, as well, ultimately adding more actors to the list of his onscreen portrayers, which already includes Harrison Ford, River Phoenix, Sean Patrick Flannery, Corey Carrier, and George Hall. With so much future box office reliant on recasting, Episode IX’s General Organa will not be an outlier in the long-term path of Star Wars. Examples from other prominent franchises confirm that fandom can accept the recasting of major characters. In the world of Harry Potter, Dumbledore is the predominant mentor character across the seven books that originated the franchise, and a character about whom fandom held very strong opinions and a high degree of nostalgia. When Richard Harris died after portraying the character in the first two films, writing out the character was not an option and Michael Gambon performed Dumbledore in the remaining six. In the realm of superhero movies, Don Cheadle replaced Terrence Howard as War Machine due to salary disputes after the first Iron Man film, and in The Dark Knight Maggie Gyllenhaal took on the role of Rachel Dawes after Batman Begins’ Katie Holmes turned down the offer of returning. In March, Disney’s live-action Beauty and the Beast reprised all of its characters from the 1991 animated classic with new performers, including characters originally portrayed by luminaries Angela Lansbury and Jerry Orbach, among others. For many in the audience watching Episode IX, recasting General Organa likely would improve, rather than hinder, suspension of disbelief. If a computer-generated face replacement is anything other than completely flawless, then significant numbers of viewers will feel that the performance is “not quite Carrie” no matter how close it gets, just as many reactions to Rogue One found Tarkin’s digital face to be distracting, unnerving, or even disturbing. Another actress seen onscreen, of course, is definitively not Carrie Fisher – but without the disconcerting uncanny valley. In the absence of Carrie Fisher’s own personal performance, seeing a true human portrayal of General Organa is preferable for increasing immersion and avoiding distraction. Even more importantly, the woman who replaces Carrie Fisher deserve full recognition for portraying Leia in her own right. The technique used by Lucasfilm and ILM for Tarkin in Rogue One was not a digital body double, but CG face replacement. This necessitated hiring an individual with a close physical resemblance to Peter Cushing, British actor Guy Henry, then making digital alterations to his face to complete the CG mask. The rest of the performance – the physicality, voice, and personality – all came from Henry, and his commitment to delivering a perfect portrayal is apparent in his interviews with The Hollywood Reporter and Business Insider. It was Henry’s performance of Tarkin that sold the character to the audience, not the digital mask, yet nearly all of the acclaim in press coverage has been given to ILM’s work, not his. The woman who delivers the physical and vocal performance for Leia deserves to be seen as the face of the character. She would already have owned the role in doing so, just as Guy Henry did. By contrast, the downside to recasting General Organa is relatively small. It is undeniable that some Star Wars fans are deeply attached to Carrie Fisher’s portrayal and do not want to see any other actress play her onscreen. Certainly Lucasfilm should acknowledge these feelings and not signal any disrespect for the fans who hold them. At the same time, however, Lucasfilm should not support or enable the viewpoint that actors are inseparable from their characters, for both business and moral reasons. Perhaps some number of fans will be unable to accept a recasting of General Organa, and the franchise might lose their future business and fandom participation as a consequence. To allow this minor loss to control the franchise’s decision, when so many other factors point in the opposite direction, would be a mistake. Without question, Carrie Fisher was a special person – and in many ways far apart from her role in Star Wars. Within Star Wars, Leia Organa is a special character, too, with an importance that far exceeds most in the franchise. Ultimately, though, no character and no actor can be more sacred than the story. General Organa deserves her long-earned and well-deserved major role in Episode IX, and a new actress should be cast to perform that important role with her own face used to convey the same human strength and vulnerability, emotion and power, we all have admired from Carrie Fisher.